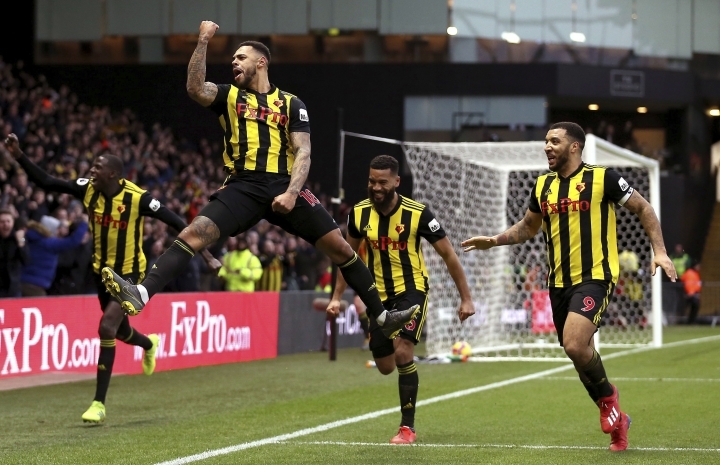 LONDON — Watford substitute Andre Gray piled more pressure on Everton manager Marco Silva by scoring the only goal in a 1-0 win for the London club in the English Premier League on Saturday. 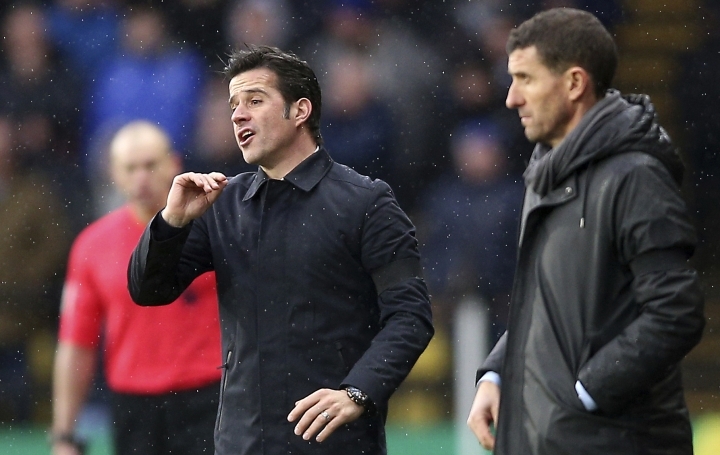 Gray headed in the winner in the 65th minute to hand Everton a third straight league loss and subject Silva to a chorus of taunting chants on his first return to Vicarage Road after he was sacked as Watford manager last year. The club said at the time he lost focus after being approached by Everton. Silva was given a hostile reception from the start, as a number of Watford fans held up toy snakes before the game to signal their feelings of betrayal, and his name was loudly booed when read out by the stadium announcer. Everton had the better start, though, and Ben Foster made first-half saves to deny Kurt Zouma and Cenk Tosun. Watford manager Javi Gracia responded by making a halftime substitution to bring on Gray, which had the desired effect. 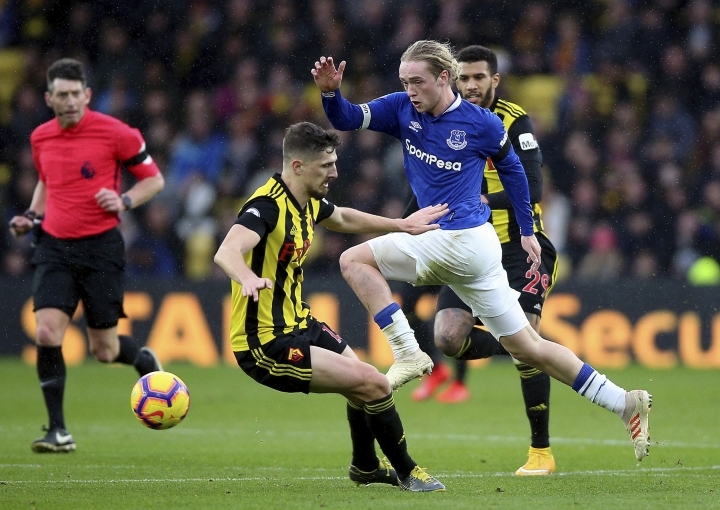 Will Hughes sent in a fizzing cross that landed at the feet of an unmarked Gray, who scored his first goal since September. Everton's Lucas Digne came close to equalizing when his free kick hit the bar, but the visitors' frustrations culminated with Zouma getting a red card after the final whistle. Zouma was shown a second yellow for complaining to referee Lee Probert about the decision to award a corner in the lead-up to Watford's goal. "Sometimes it is not easy to be calm, and in that moment, the referee has to understand because many, many mistakes are going against our team," Silva said. "What Kurt said to the referee is what all the other players were saying in that moment. He is speaking about the corner. It wasn't a corner. If they can see that, how is it possible that the referee and the assistant couldn't see it? It is really strange."